Z-Chess társasjáték - Magyarország társasjáték keresője! A társasjáték érték! A Z-Chess egy nagyszerű társasjáték, 2 játékos részére, az átlagos játékidő 1.5 óra. A társast, 12 éves kortól ajánljuk kipróbálni. A játékmenet erősen épít a moduláris tábla és a rács mozgás mechanizmusokra. 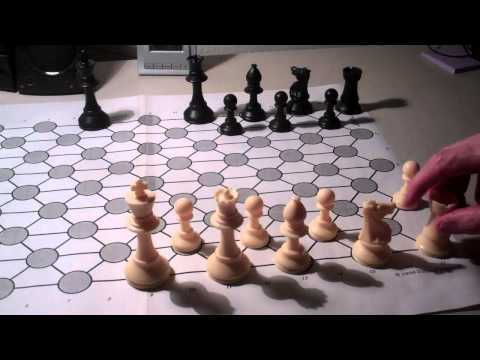 Z-Chess is a cross between the game of GLE'X and conventional chess. Two GLE'X boards put together - overlapping in the middle - make up the playing field. 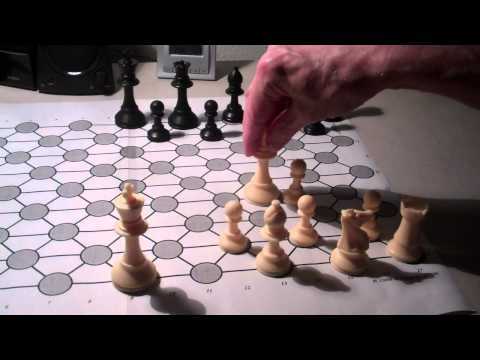 Conventional chess pieces - with the addition of a second Queen - are used to play the game. The goal, just like in the ancient game, is to capture the opponent's King. 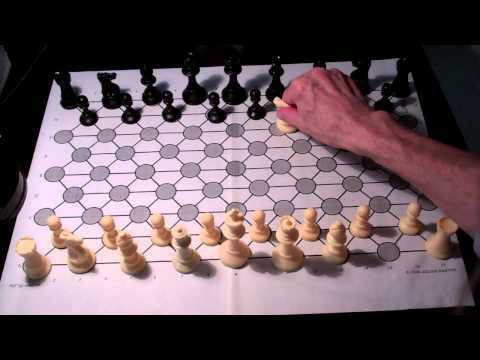 The strategy is similar as well, however, the nature of the Z-Chess board requires the pieces to move differently. The Rooks are more powerful than the Queens, resulting from the way they move. A single Rook attacks all 77 "squares" when other pieces are removed from the board. The "squares" actually are circles at the intersections, same way as on the GLE'X board.